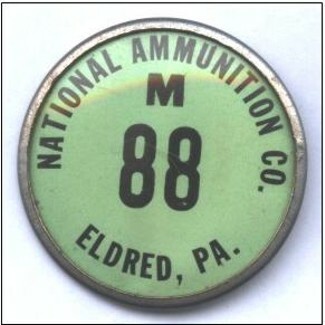 The United States was engaged in war material manufacturing prior to the Japanese attack on December 7, 1941. Notable companies manufacturing in this county were National Powder Company and the National Munitions Company, both located in Eldred, and engaged in production for the British. Pennsylvania’s biggest single war assignment from the Federal Government was the production of arms and ammunition. 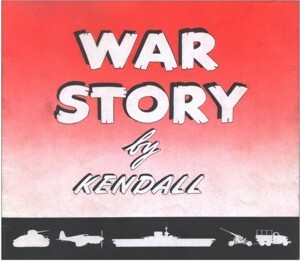 A War Production Board report on major war supply and facility contracts allotted by Federal Agencies between June 1940 and December 1943 totaled $3,314,732,000 for ordnance, including guns, mounts, fire control equipment, ammunition and explosives in Pennsylvania. The total of war supply contracts and facility projects in McKean County was listed at $21,566,000. An additional $900,000,000 in contracts to make shells, guns and other materials were given to Western Pennsylvania war plants in the first seven months of 1944. 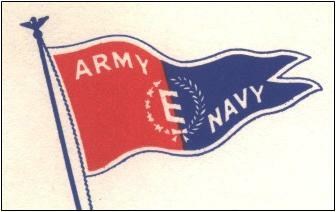 National recognition of war production facilities started in August 1942 with the presentation of the Army-Navy E Award. 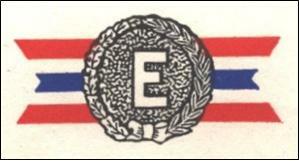 Several McKean County war production facilities earned this award and a few earned additional stars for maintaining excellence in war production. The criteria that the recommended plant had to meet to receive this award consisted of the following determining factors; 1. Excellence in quality and quantity, 2. Overcoming production obstacles, 3. Low rate of absenteeism, 4. Avoidance of work stoppages, 5. Maintenance of fair labor standards, 6. Training of additional labor forces, 7. Effective management, 8. Record on accidents, health, sanitation and plant protection, 9. Utilization of sub-contracting facilities, 10. Cooperation between management and labor as it affected production and 11. Conservation of critical and strategic materials. 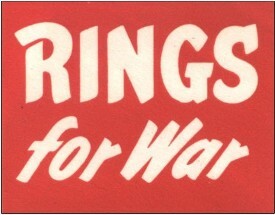 Only 4,283 war plants across the nation, less than five percent of all war production, received the award.